The idea behind this music was to explore the notion that a lot of who you are comes from those who went before you. The older I get the more this comes true. Like each generation of a family these three parts of music have their own individual voices and ideas but are ultimately influenced by what's happened before. So much has changed in the world in the space of only three generations and I wanted to include that change in the style and attitude of the different parts. 4th March, supported by a UK and European tour. '...AND LO! THE BIRD IS ON THE WING' features the finest Scottish Jazz and Folk musicians, Nashville Gospel singers, The McCrary Sisters, British music legend Danny Thompson and Hollywood A-lister, none other than Ewan McGregor. written and it's just as I wished it to be." Includes unlimited streaming of ...And Lo! 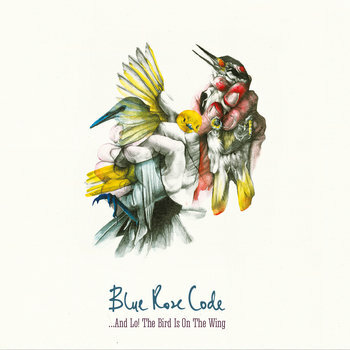 The Bird Is On The Wing via the free Bandcamp app, plus high-quality download in MP3, FLAC and more.